Dr. Podett has been a Physician since 1993. He specializes in Family Medicine and completed his family practice residency training at Central Maine Medical Center along with an internship in internal medicine at Griffin Hospital in Connecticut. Dr. Podett also serves as an Assistant Clinical Professor in family practice at OHSU and is a community preceptor for training medical students, physician assistants, and nurse practitioners. A graduate of Ross University School of Medicine, Dr. Podett brings a belief that holistic health keeps the body whole. One must include the foundations of diet and exercise along with preventative, modern medicine to attain and maintain good health, for both mind and body. Dr. Podett enjoys staying active in the community and has a noteworthy passion for skiing and the Mt. Hood Ski Patrol. Brooke Lowry, PA-C, graduated from Portland State University with a double major in Psychology and Science. She attended the Physician Assistant program at the University of Washington, School of Medicine. She earned her Masters degree and Physician Assistant certification and began working at Mountain View Family Practice after graduation. She finds reward in the opportunity to help patient's improve their health and quality of life. Brooke enjoys spending time with her family and friends. She likes exploring her community and taking advantage of the beauty of the Gorge. Additionally, Brooke takes pleasure in music, good books, painting… and an occasional Netflix binge. Teressa Raine is a former athlete, and current exercise enthusiast who earned her undergraduate degree in General Science from Portland State University. She attended PA school at OHSU. She comes to Family Practice from a previous career as an EMT. She enjoys working with patients from newborns to seniors, patients of all genders, and patients of all health or activity levels. She finds great satisfaction in the relationship that develops between provider and patient. She likes to prescribe to the "Start Where You Are" philosophy for improving health. When not caring for patients, she spends a lot of time at home with her two young children, but plans do more traveling in the Northwest and beyond as her children grow. She shares breadwinning, childrearing and homemaking duties with her husband. She is looking forward to meeting new patients and expanding her practice. 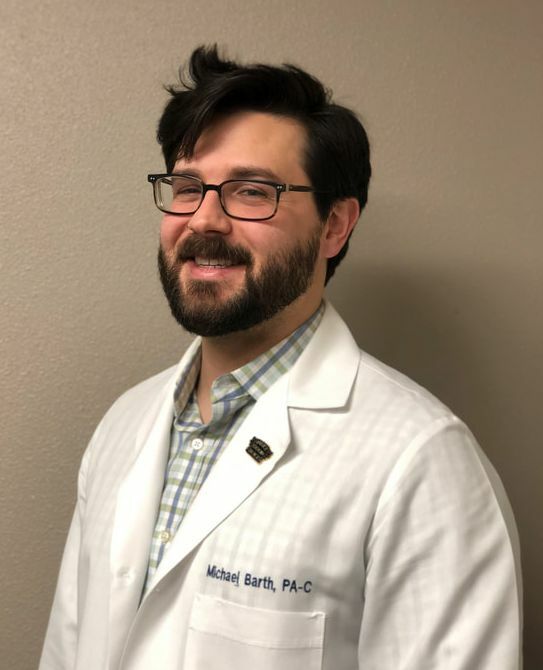 Michael obtained his MPAS at University of Texas Health Science Center at San Antonio in 2014, moved to Portland in 2015 and has been working with Mtn View Family Practice since. He believes dietary fiber is the adjuvant to most any healthcare regimen and is known to frequently recite his mantra, "beans and greens," to patients with a near zealous fervor. In his free time, he enjoys cooking (not just beans and greens...but mostly), reading, and perusing the grocery store bulk bins for novel pulses and legumes. Having grown up internationally, he enjoys cuisine as a cultural nexus, and would welcome your recommendations of favorite finds from greater Portland's cornucopia of gastronomic offerings.